Closing the season is Fascinating Rhythms – an exciting evening of dance and live music by George Gershwin, Astor Piazzolla, and local composer Quinn Mason. 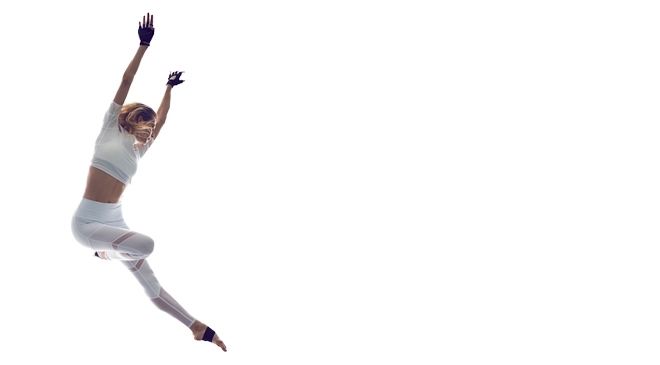 Returning to the repertoire is George Balanchine’s Who Cares? – an audience favorite that perfectly pairs Gershwin’s toe-tapping melodies with Balanchine’s genius choreography. Next is Paul Mejia’s Cafe Victoria, a company premiere features Piazzolla’s alluring Contrabajissimo. The performance closes with a collaboration between choreographer Katie Cooper and composer Quinn Mason. The performance will mark the world premiere of both Cooper’s choreography and of Mason’s String Quartet No. 2. Don’t miss this exciting end to the 2018-19 season!